All your loyalty cards, now in your phone! 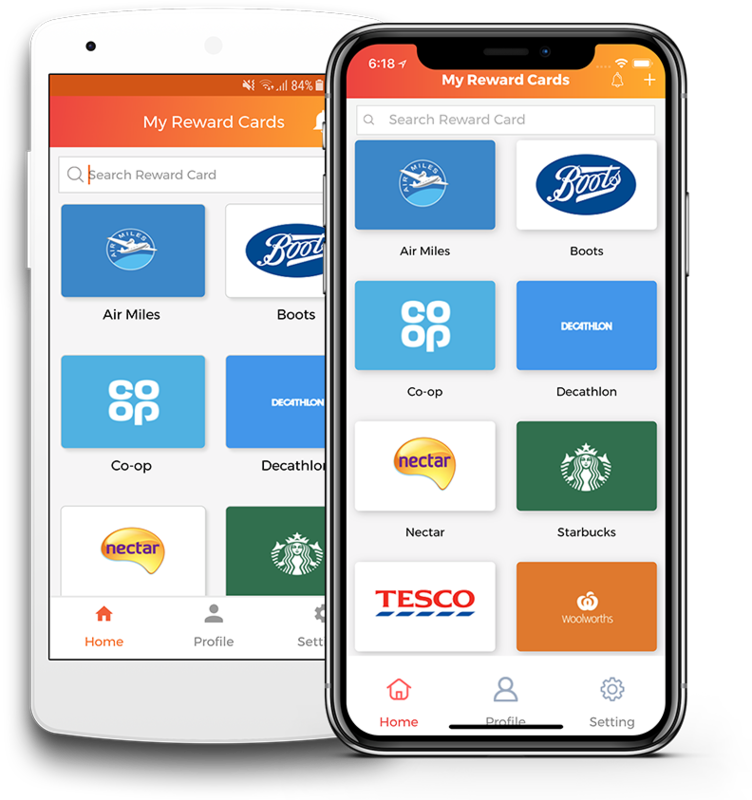 Reward Cards App is a popular mobile loyalty wallet. It is innovative and easily available app. It scans your Reward Cards barcode on your smartphone and later you can show it at the store checkout counter. Reward cards app is aiming for a transition from wallet space to screen space. Customers are now moving towards this app rather than just expanding their wallets with plastic cards. Why use a Loyalty App? Reward card wallet is created with the thought that rather than carrying over all your cards, it would be a smooth task to carry them all in an app. You can easily store your points in this Free Rewards App. You need not worry as all the Barcodes, QR Code, or only card number are on your smartphone. This change makes a great sense from a Customers point of view. It is nice to be rewarded and better if you have those rewards handy always with you as a mobile App. You just need one app to restore all your loyalty cards. This app should be a must for any budget-conscious money saver shopper. Customers who are not a fan of carrying all their rewards card can definitely spend a minute to download Rewards Card app and save them all in one place. After all, it’s the digital age to make use of such digital apps which saves your time and clutter by just presenting your App at the checkout. The best part is if you have one card in the family you all can use it in the app. From Merchant point of view this app is the customer retention strategy and also to know all about your customers. Merchants just need to bring the customers to the app and we will bring them back to the Merchants. They can put their brand on customers mobile with their logo and it will be similar to Merchants own Reward Card App.